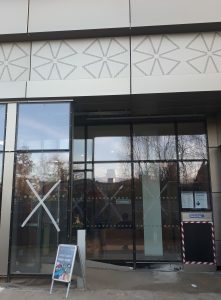 The new accessible entrance to the main Library building – the Book Drop is available as normal. has been cordoned off. The new entrance is accessible and the out-of-hours Book Drop is still available. Although the entrance has been opened, work is not yet complete. 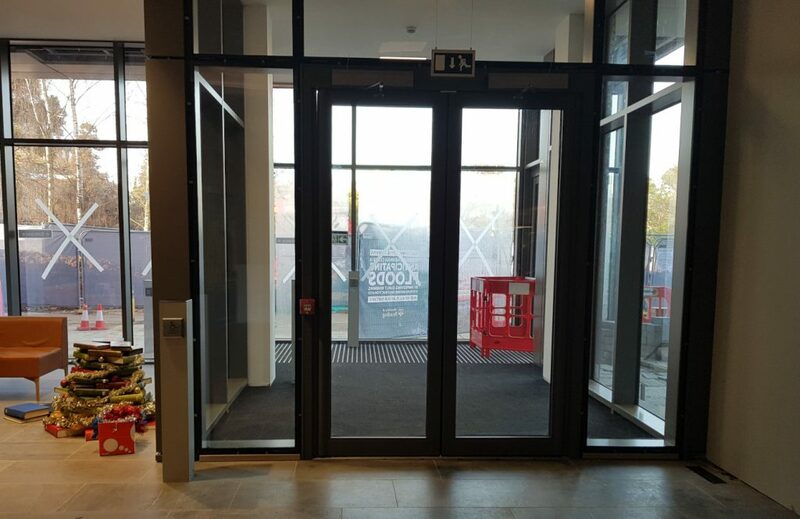 For now, please use the door on the side closest to the URS Building (pictured) – once the project is complete, doors on both sides of the entrance will be available. 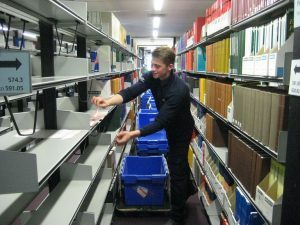 Keep up to date with the latest Library refurbishment news on our Library refurbishment webpage.